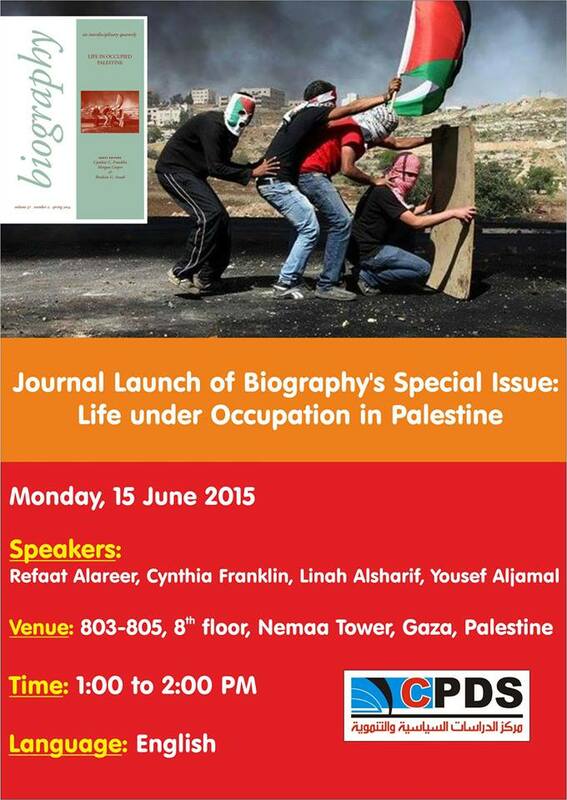 Launch organized by Yousef Aljamal and Refaat Alareer at the Center for Political and Development Studies on Monday, June 15, 2015, from 1-2 pm. 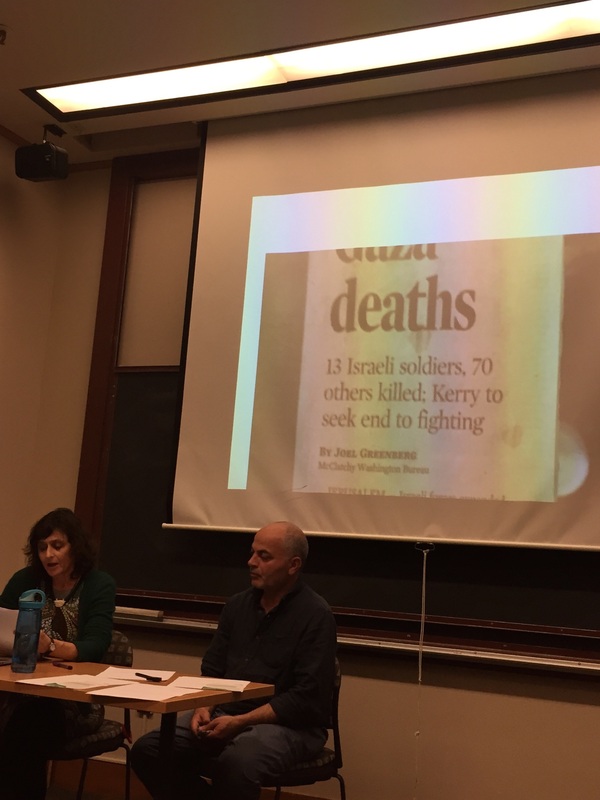 The Center for Political and Development Studies in Gaza, Palestine held a launch of Biography’s Life in Occupied Palestine, a special issue highlighting the life of Palestinians under occupation. 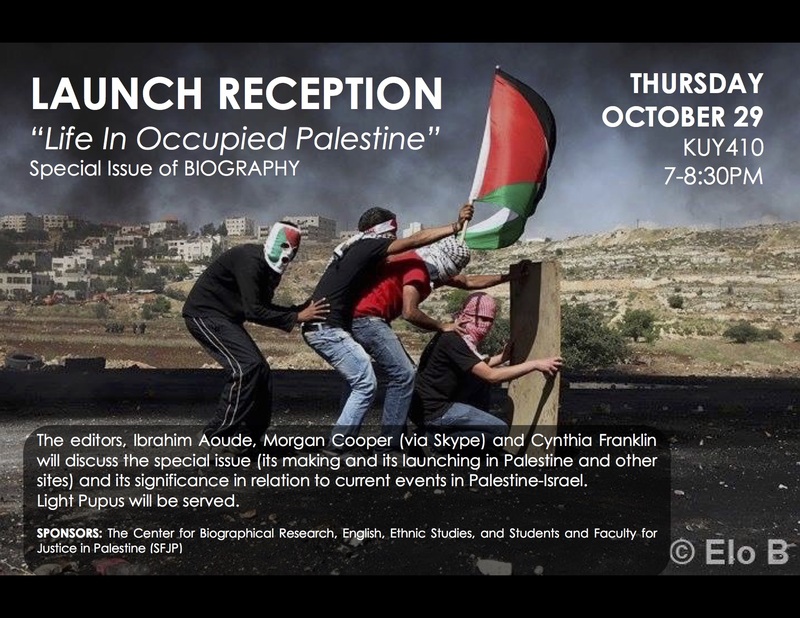 Cynthia Franklin, Morgan Cooper and Ibrahim G. Aoudé have co-edited the newly released special issue, which has 17 authors, who contributed various articles addressing aspects of life under occupation and hardships and aspirations of Palestinians and their means to resist the Israeli occupation. 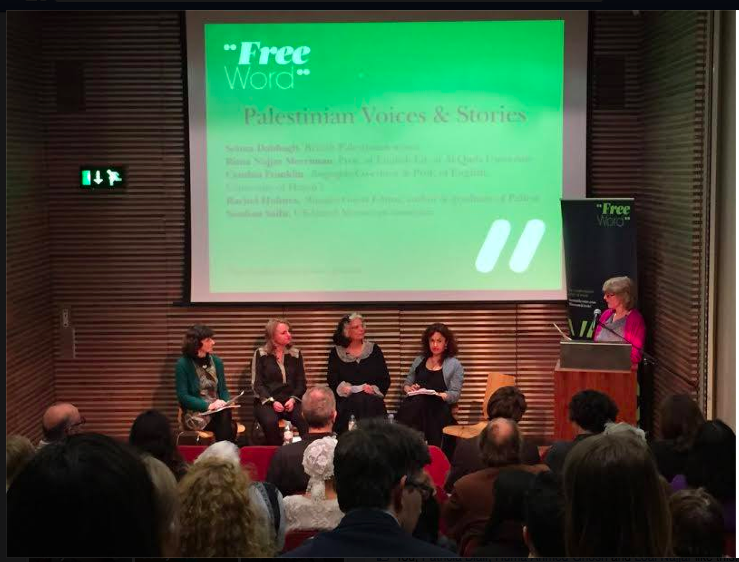 The stories include writers from all parts of Palestine, which makes it a particularly an important issue. 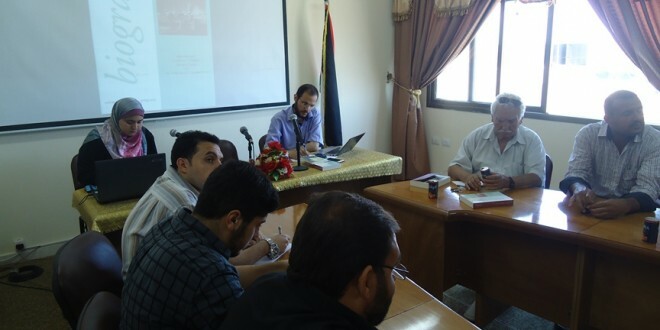 Refaat Alareer, the editor of Gaza Writes Back, Short Stories from Young Writers in Gaza, Palestine talked about his contribution to the special issue titled “Gaza Writes Back: Narrating Palestine.” Alareer, a lecturer at the Islamic University of Gaza, explained how he assigned his students, soon after Israel’s Cast Lead Operation in 2008-9, to write short stories instead of writing research papers, as a means to release their tension and to give them a platform to tell their own stories, as a means of healing. 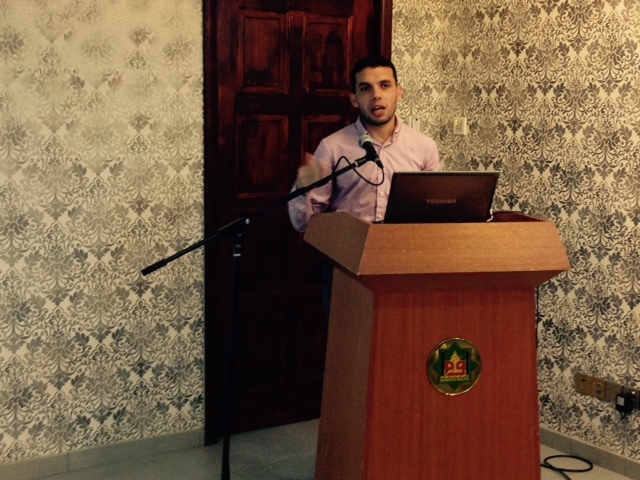 “Research papers are important, but I thought of assigning them to do something new, to be creative,” he added. 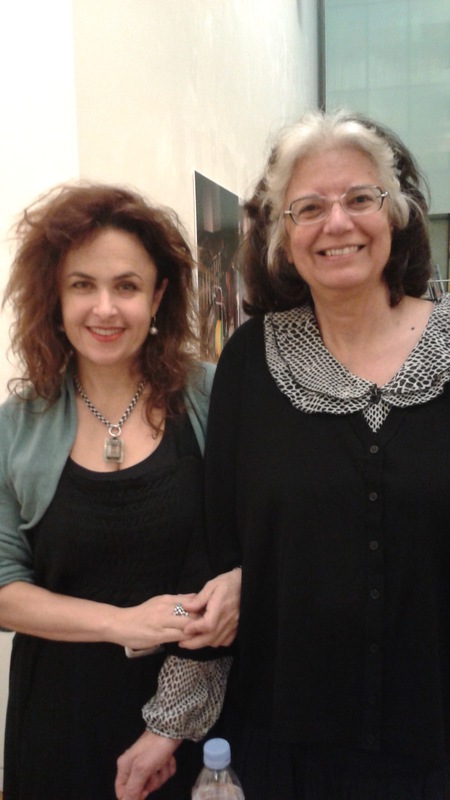 “I remember how my mom would tell us stories when we were young. 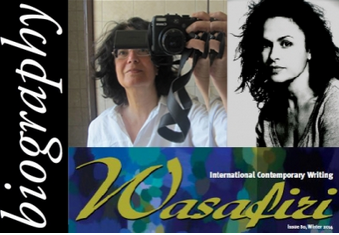 She would tell the same stories in many different ways, by adding new elements and new characters, so that we don’t get bored,” he continued. 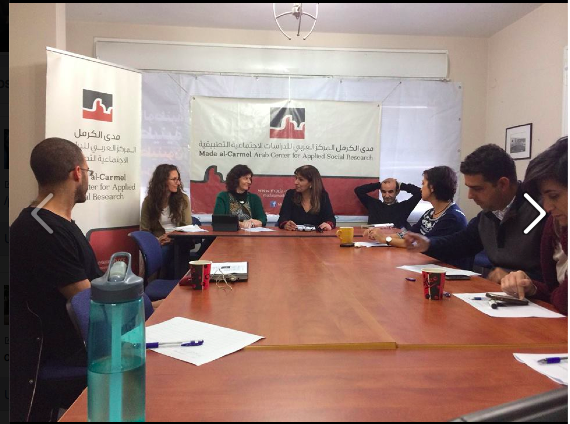 The launch is part of a series of events and talks organized by CPDS to further promote the Palestinian cause in the English-speaking world. 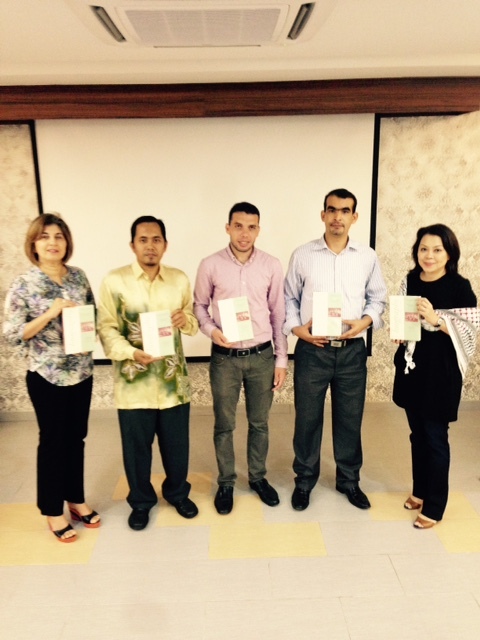 A copy of Biography is available at CPDS’ Hashim Yeop Sani Library. 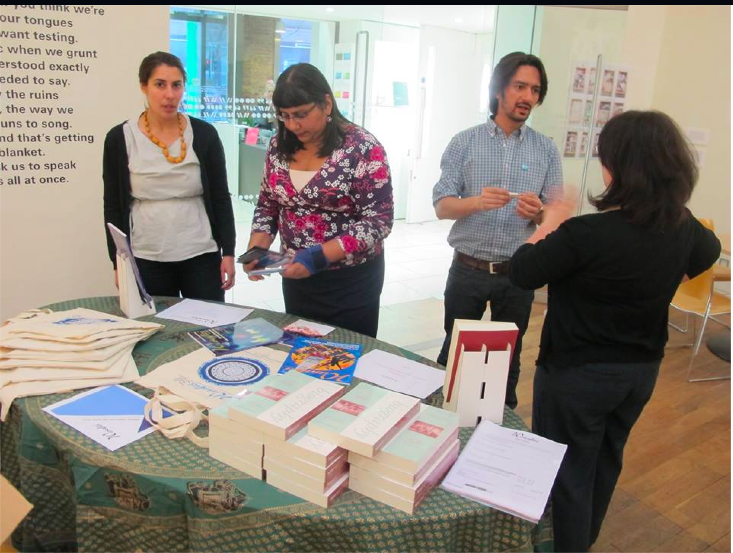 The launch of the special issue also took place in the U.S, U.K, Malaysia and Palestine, at which various authors and editors spoke. 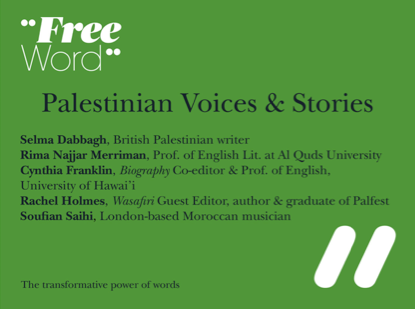 The issue is available online for free. 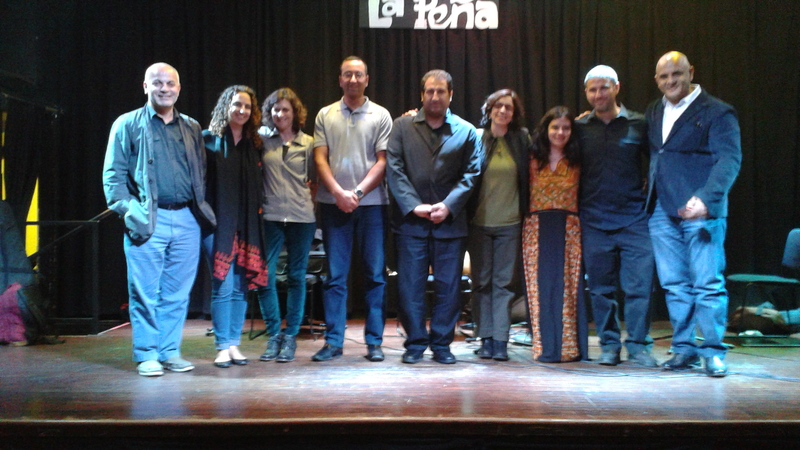 Launch organized by Yousef Aljamal at the University of Malaya, April 30, 2015, 12 – 1 p.m.
“Life in Occupied Palestine”: To Exist Is to Resist!, with Cynthia Franklin, Sarah Ihmoud and Magid Shihade, at La Pena Cultural Center in Oakland, sponsored by the Jewish Voice for Peace, April 24, 2015, 7-9 pm. 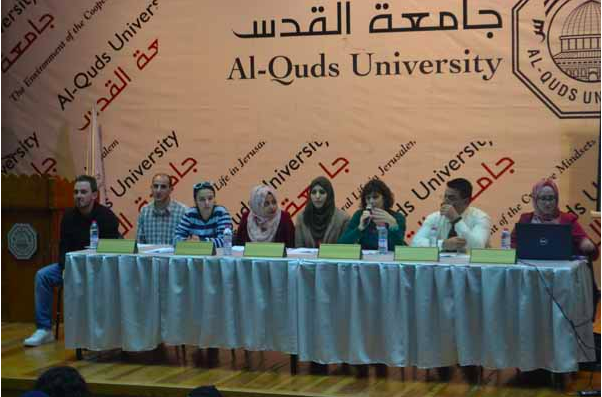 Panel on “Life in Occupied Palestine,” with Sa’ed Atshan, Cynthia Franklin, Sarah Ihmoud, Darnell Moore, and Magid Shihade. 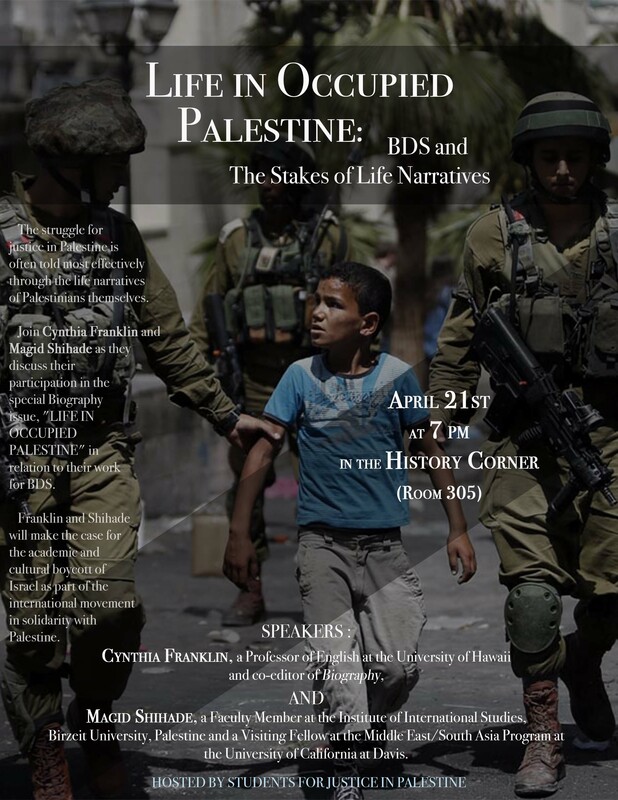 UC Berkeley Ethnic Studies Department, April 22, 2015, 4-6 pm. 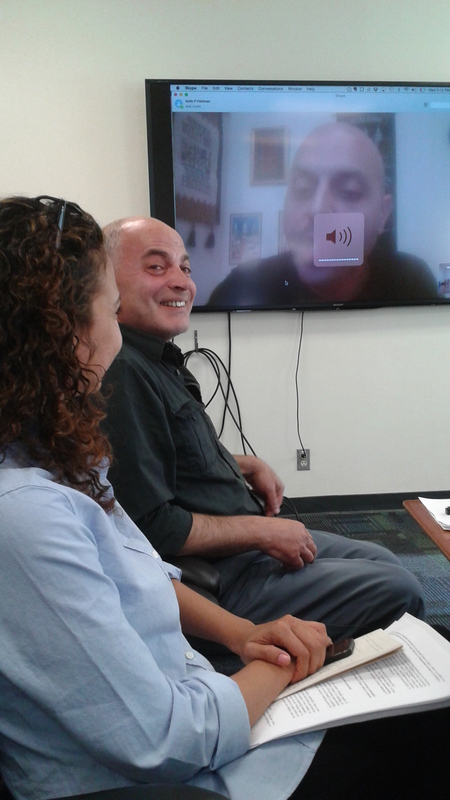 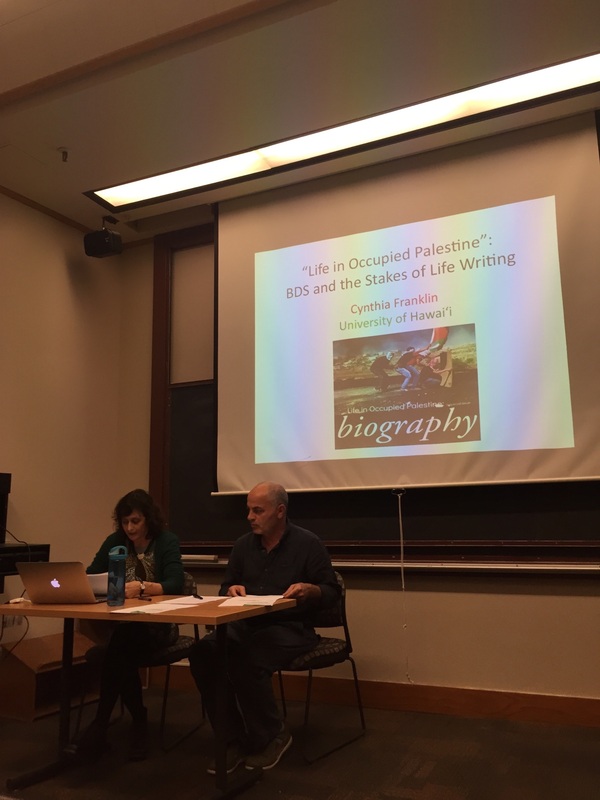 “‘Life in Occupied Palestine’: BDS and the Stakes of Life Writing,” with Magid Shihade and Cynthia Franklin. 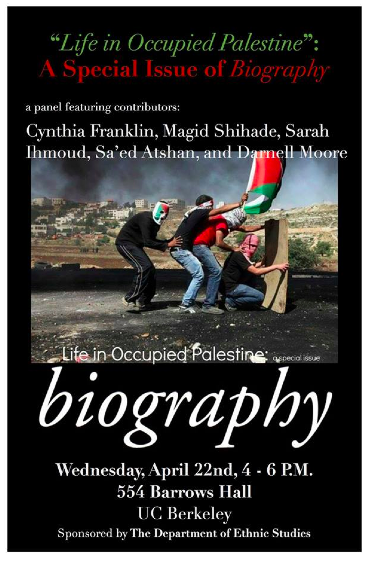 Stanford University, April 21, 2015, 7-9 pm. 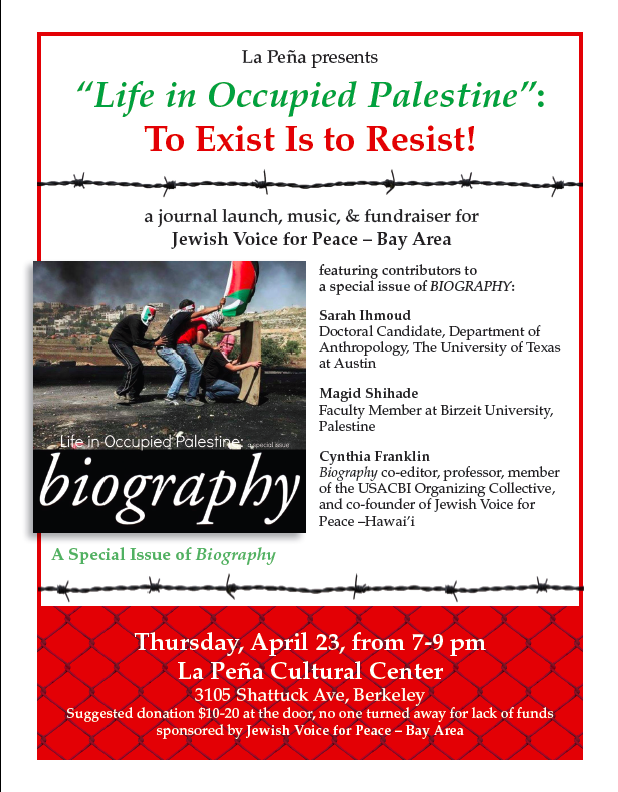 Sponsored by Stanford Students for Justice in Palestine (SJP). 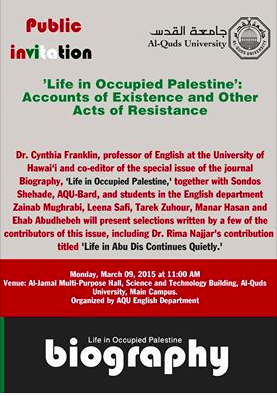 “‘Life in Occupied Palestine’: Accounts of Existence and Other Acts of Resistance,” Al-Quds University, Abu Dis, Mon., March 9, 2015, at 11 am. 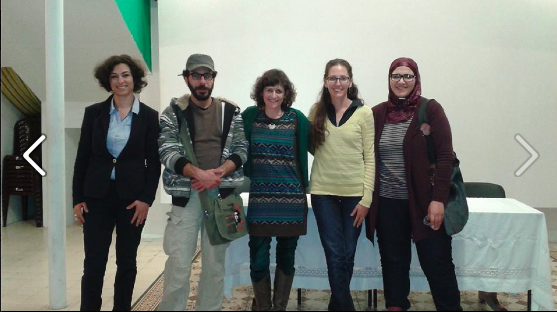 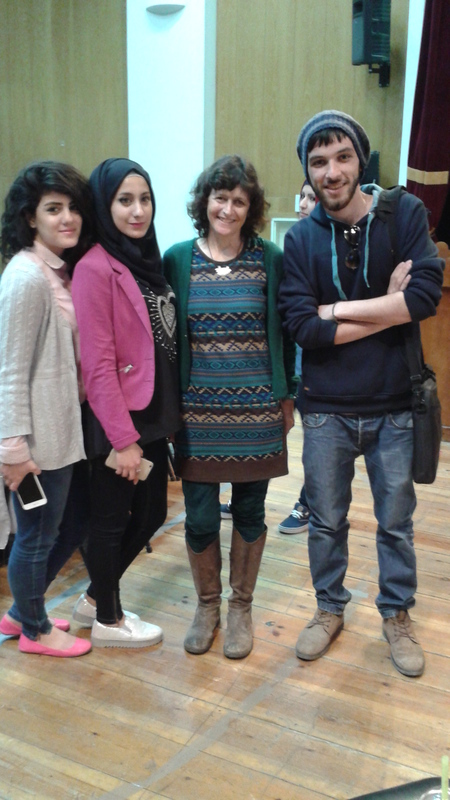 Featuring Rima Najjar, Sondos Shehade, Cynthia Franklin, and students in the English Department at Al-Quds. 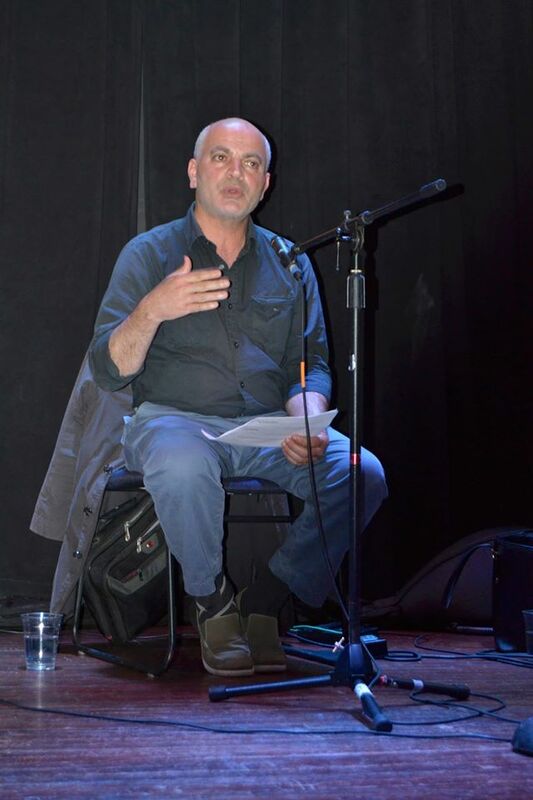 “Life Writing from Palestine: Forging a Just Future,” Khalil Sakakini Cultural Center, Ramallah, Mon., March 9, 2015, 6 p.m. 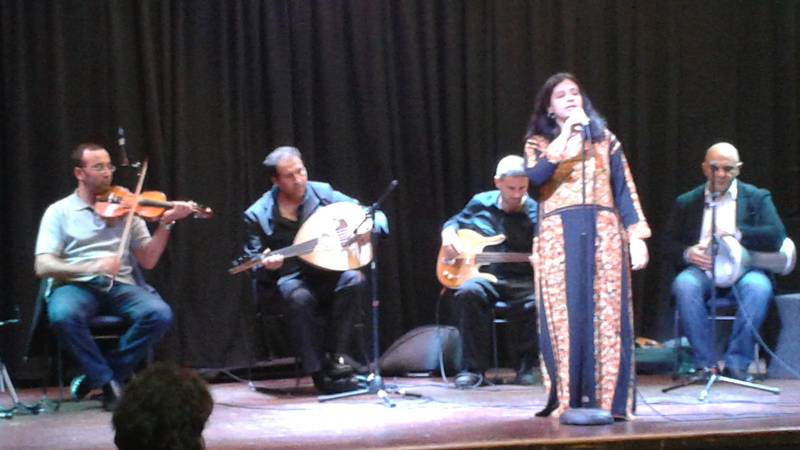 Featuring Falastine Dwikat, Yasmine Saleh, Sa’ed Omar, with Morgan Cooper and Cynthia Franklin. 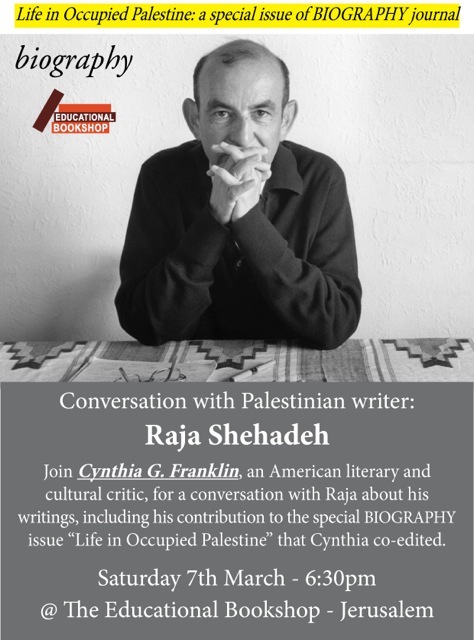 “Autobiography, Resistance, and American Studies,” An-Najah University, Nablus, Tues., March 10, 2015, 12-1:30 p.m. With Nabil Alawi and Cynthia Franklin. 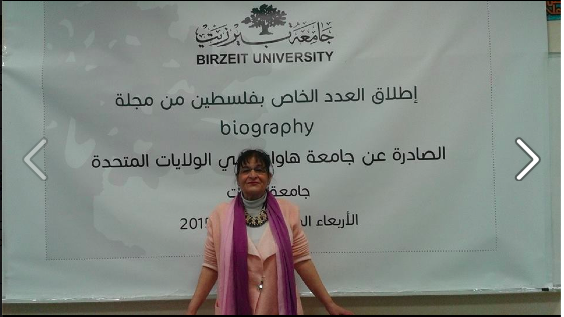 “Life Writing from Palestine: Invasions, Incarceration, and Insurgent Imagination,” Birzeit University, Birzeit, Wed., March 11, 2015. 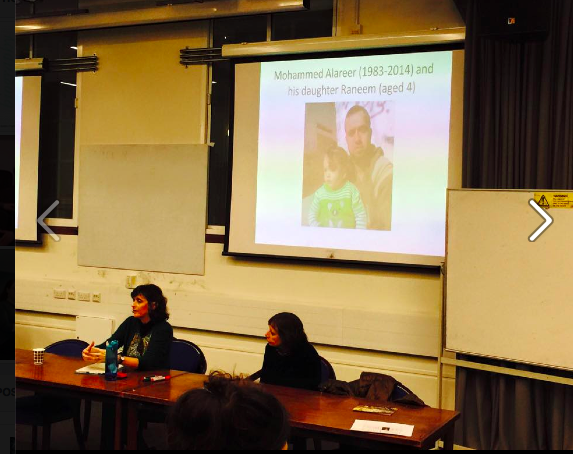 11-12:30. 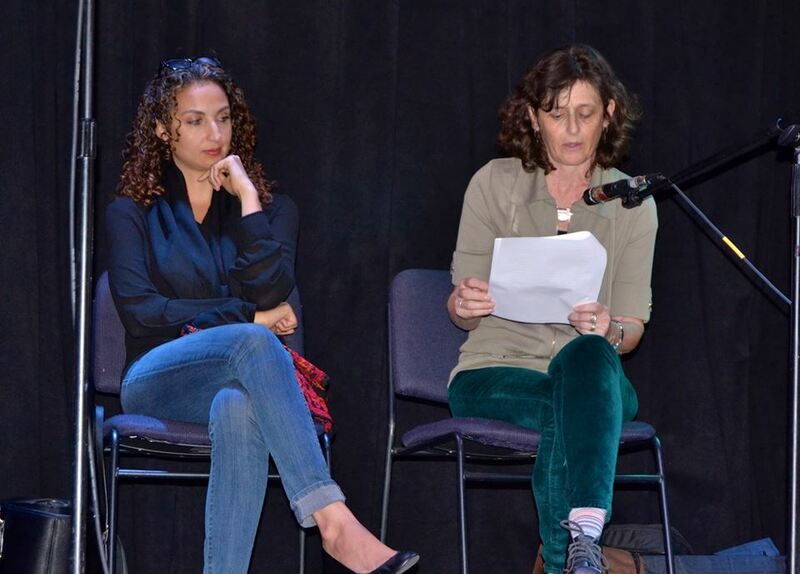 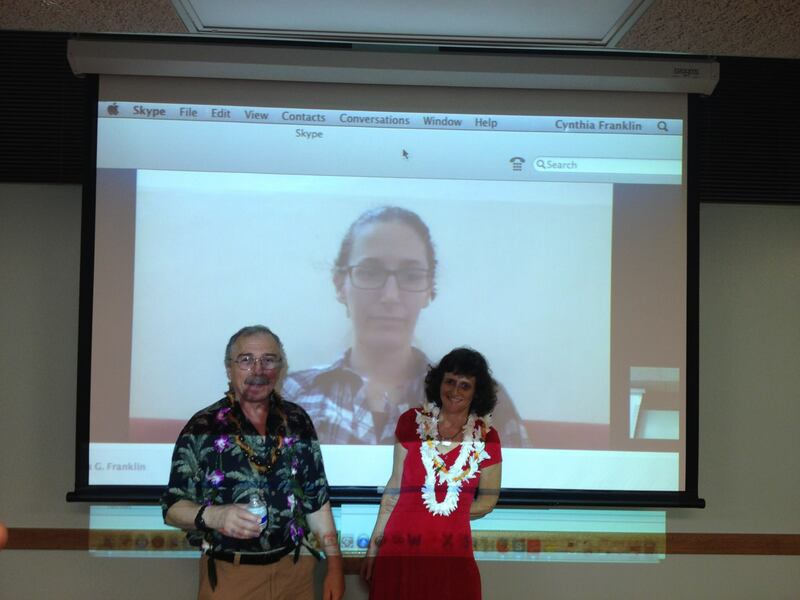 Featuring Sonia Nimr, with Morgan Cooper and Cynthia Franklin. 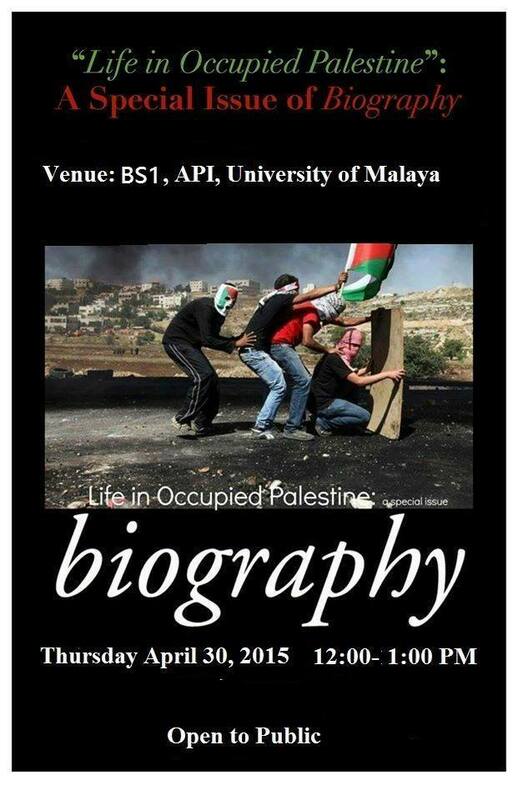 “‘Life in Occupied Palestine’: Life Narratives in the Context of Israeli Settler Colonialism.” Mada el-Carmel, Haifa, Thurs., March 12, 2015, 5 pm. 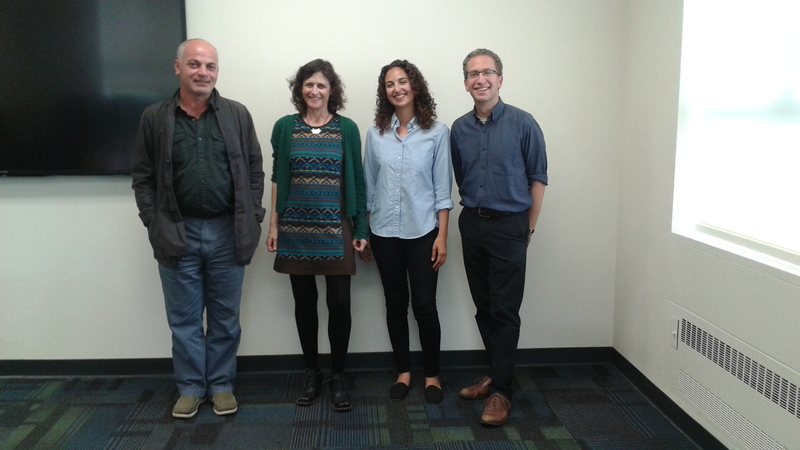 Featuring Nadera Shalhoub and Raja Shehadeh, with Morgan Cooper and Cynthia Franklin.